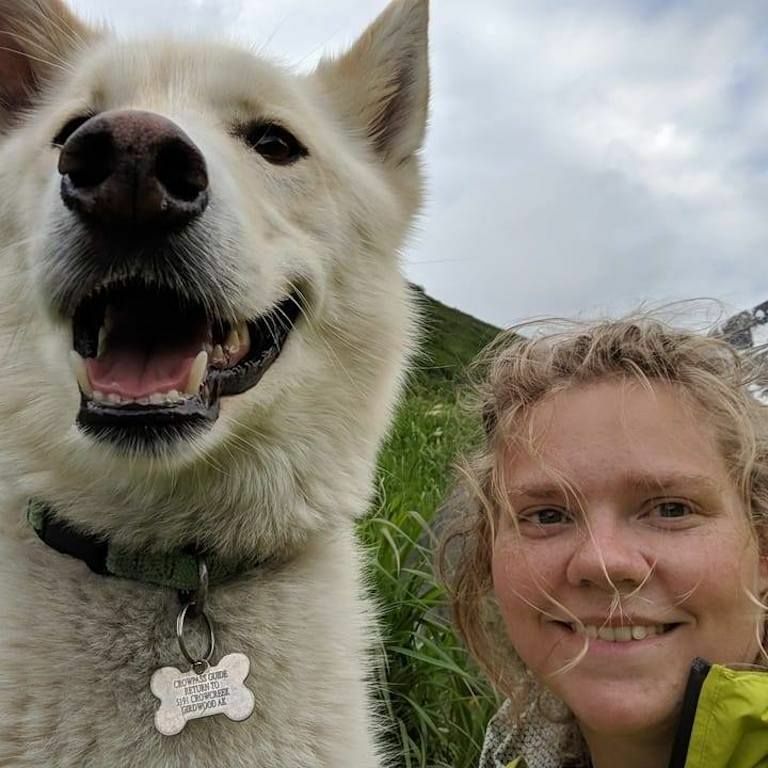 Last week, Nanook’s heroics were on full display when he rescued deaf Rochester Institute of Technology student Amelia Milling. She had lost her footing and plummeted 600 feet down the mountain, when Nanook appeared and guided her back to the path. But his work wasn’t done yet. He stayed with her as she tried fording a frozen river. When she slipped and fell in, he was there to paddle her to safety. As she attempted to lay in her sleeping bag to warm up, Nanook stayed by her side, licking her to help expedite her recovery. Thanks to the husky’s efforts, Amelia was well taken care of until the rescue helicopter arrived. According to Swift, Nanook completes the trail with strangers so often that he engraved his collar with the title, “Crow Pass Guide Dog.” Through Facebook, Swift has learned of at least a dozen instances where Nanook has saved hikers’ lives. While he wasn’t trained specifically to be a rescue dog, Nanook seems to have carved out quite the humanitarian career for himself in the woods of Alaska.